We recently took an in depth look at some of the best Amazon Web Service training courses available online. And while we covered some of the real benefits of getting AWS qualified, the review round up concentrated heavily on what the individual courses had to offer. Now its time to take a quick look at exactly why you should make the leap into the world of AWS in the first place. AWS has set itself from its competitors to become the gold standard of cloud services. The size of their cloud network is awe inspiring. It is reported to be 10 times bigger than its next 14 competitors, combined. Microsoft Azure and the Google Cloud Platform are playing what some might call a futile attempt at catchup. As the AWS infrastructure increases in size and volume, so do the opportunities open to those trained in its workings. The skills required in all areas of the system are wide. Web developers, database administrators, IoT developers, Big Data analysts and AI developers all stand to benefit by learning the AWS ecosystem. Amazon are constantly adding and innovating their platform to make it better and more efficient for both end customer and those that work on it. Not only does this keep them in front of the competition, it also means that any technicians with the relevant, up-to-date skills will be in high demand. With the AWS training your employment future is going to look very rosy indeed. As our recent AWS online training courses review round up demonstrated, there are many quality institutions providing AWS courses via online teaching methods. This makes gaining AWS skills relatively simple no matter your location. These courses will not break the bank either. We are not talking about a 3-year college degree in computer programming here. The entry level AWS associates courses can cost as little as $200. Amazon has made efforts to offer a realistic certification path with good career and employment prospects at every level. Due to the above structure, the most popular starting point for those wishing to learn AWS is to start with the Certified Solutions Architect Associate, (which is the course we concentrate on in our top 5 review article). 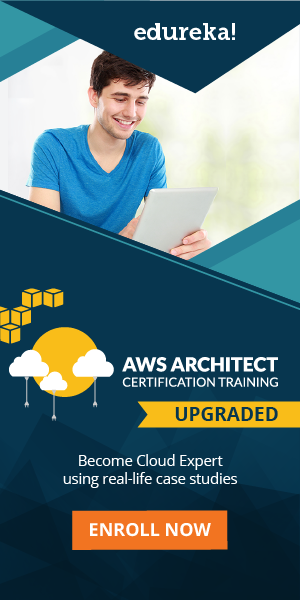 The course is the best way to become familiar with the AWS ecosystem and core services. It is also a prerequisite for anyone wanting to take things further and begin training in areas the second and third tiers. Another great aspect of AWS training is that many of the online courses are set up for flexible self-learning. This means you can fit your study around a full time job. Another perk is that Amazon kindly offers a free tier account for those wanting to learn the system. For a full year you will have access to their services for free. This first-hand experience with the way the AWS platform works is essential for anyone serious about turning their training into a fully-fledged career. The positive aspect of getting AWS certified is the sheer amount of opportunities available. As we stated above, AWS is the largest provider of cloud technology. As the demand continues to grow, so do the employment positions and expected salaries. In short, showing your existing employers (and obviously future employers) that you have the relevant AWS skills, will have a positive impact on your career. AWS certification will give you a greater opportunities with a wide array of employers. And in an ever increasing competitive work arena, anything you can do to set yourself apart will put you in good stead. So what are you waiting for. The courses are out there. With a little time and dedication you could launch yourself into a whole new line of work with top rates of pay and relative job security.